Nestled on the far western part of Ukraine, and bordering Slovakia, is the small city of Uzhhorod. 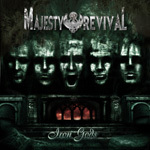 It's the home to metal band Majesty of Revival, formed in 2009 by guitarist Dimitriy Pavlovskiy, offering their second album, Iron Gods, for digital release. Majesty of Revival: all six of them. 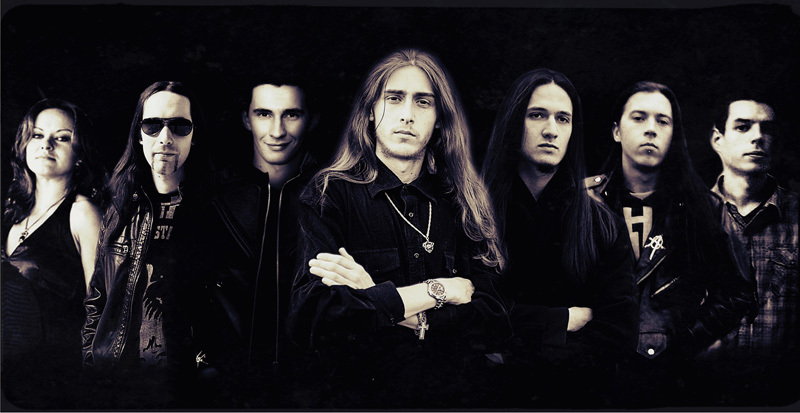 Majesty of Revival gives the listener a solid dose of European melodic power metal, with a symphonic element, but mostly propelled by Pavlovskiy's neo-classical guitar play. After all, it is his band. You'll hear echoes of many of their predecessors and peers from Rhapsody of Fire to Stratovarius. It's familiar, and predictable, territory if you're acquainted with the genre. Yet Majesty of Revival handles it quite well giving the listener an entertaining expression of their creativity, especially when the proper symphonic power metal elements come together. A good example is the title track, blending a balanced mixture of neo-classical piano and keyboards and guitar with traditional power and symphonic metal ingredients. It also displays some of MoR's ability to prog metal nuances with tempo and signature changes. Another example is Edge of Sanity, where the symphonic layer has a more prominent place. Yet the real pleasure comes in the delightful piano line that flows through the arrangement. Alternatively, Majesty of Revival can essentially skip the nuances and intrigue and go straight for classic melodic power metal akin to Stratovarius as with Masked Illusion Parts II & III. However, I did find one thing odd about the band and this album. MoR has two vocalists, a male lead vocalist, but also a female vocalist. I'm not sure what her place is here because you can simply not hear her contribution. What's the point of having her then? Nevertheless, overall, as mentioned earlier, Iron Gods is familiar and predictable territory for the genre, but sounds really, really, good, though I wouldn't put them on the level of Rhapsody of Fire quite yet. Recommended for fans all things melodic symphonic power metal. Rising from familiar and predictable territory, Majesty of Revival offers their creative and entertaining spin on symphonic progressive power metal.